The rain-delayed Richmond-San Rafael Bridge repair project is now underway. 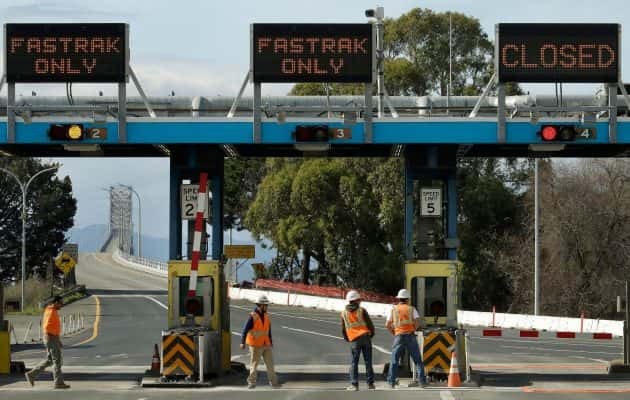 Caltrans will have one lane closed in both directions between 9:00 p.m. and 5:00 a.m. every day for the next three-months to replace the span’s aging expansion joints. Chunk of concrete from one of those joints fell into traffic lanes in early February after years of wear and tear. Only one car was hit and no one was injured, but State Senator Mike McGuire said at the time it shows the 63-year-old bridge could collapse in a catastrophic earthquake.